We arrived very late and very tired. I am attempting to do a post from my phone, not sure how that will work. We shall see. Yesterday when we got up, very early as we were will on Ottawa time, we walked along the sea wall to stretch our legs. Evie was thrilled to be so close to a heron. She will write it down in her birding book. After walking for a bit since nothing was open we made our way to Save On Meats for breakfast. It wasn’t busy except for us and a few police officers having breakfast. I needed coffee, and it was strong and wonderful, along with a Benny. Then we made our was to the aquarium. Evie just wanted too see the otters, she is mad about otters. After a short interaction with a whale she beelined to them and was not disappointed. 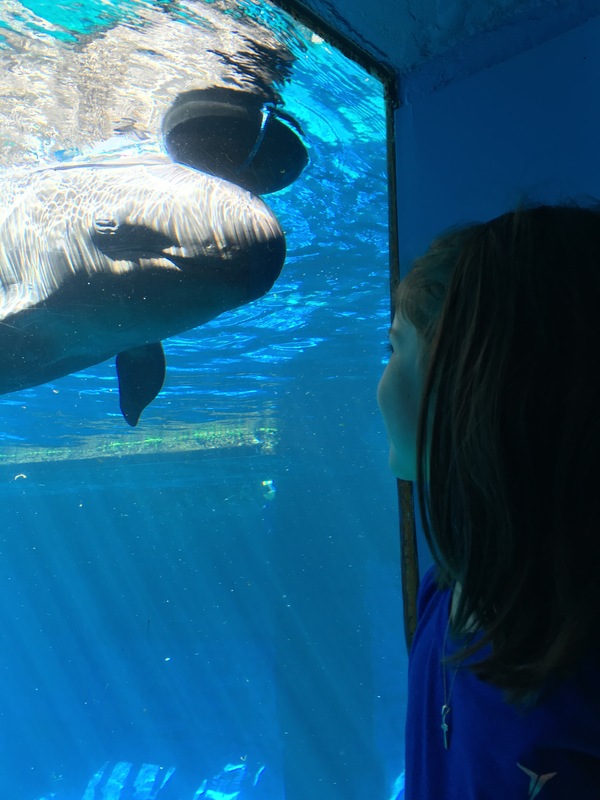 There was one older otter who must have sensed her excitement because she floated around cleaning herself and then floated straight to Evie bumped her head to the glass then went under to swim and swam back to her smiling and clapping her little front paws! Evie was beaming! I didn’t get pictures on my phone of the otters but I have lots with me regular camera. I will have to post some later. 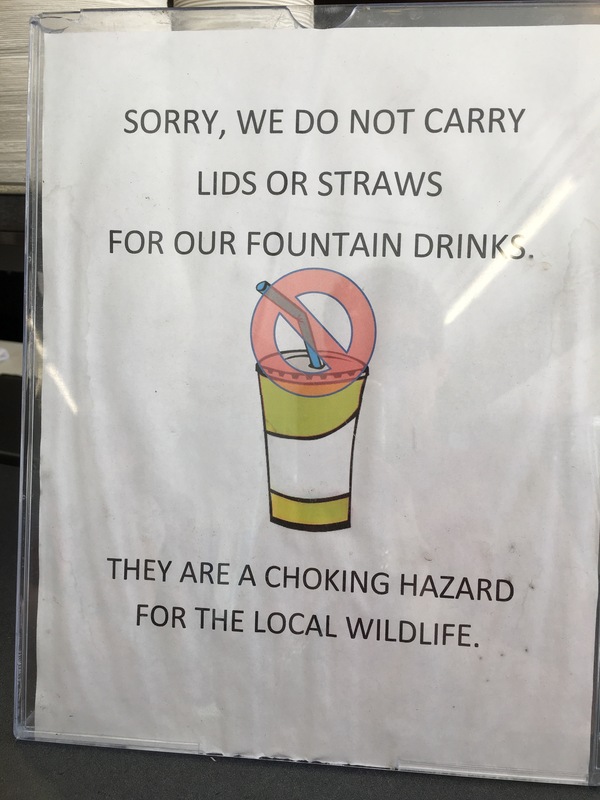 We went for a snack where we were very happy to see this sign. Evie promptly said “mom look they don’t use straws”. 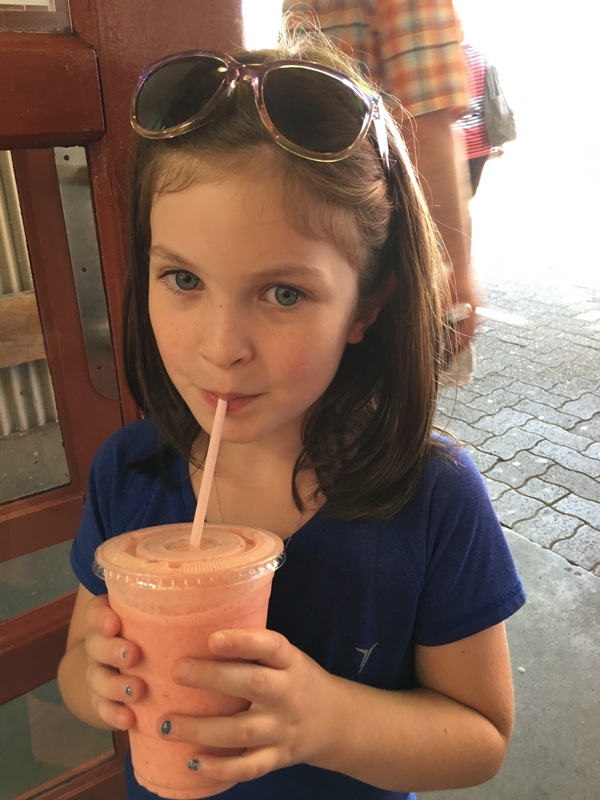 She wasn’t as happy later, at the market, when Dad gave her a smoothing with a straw in it. 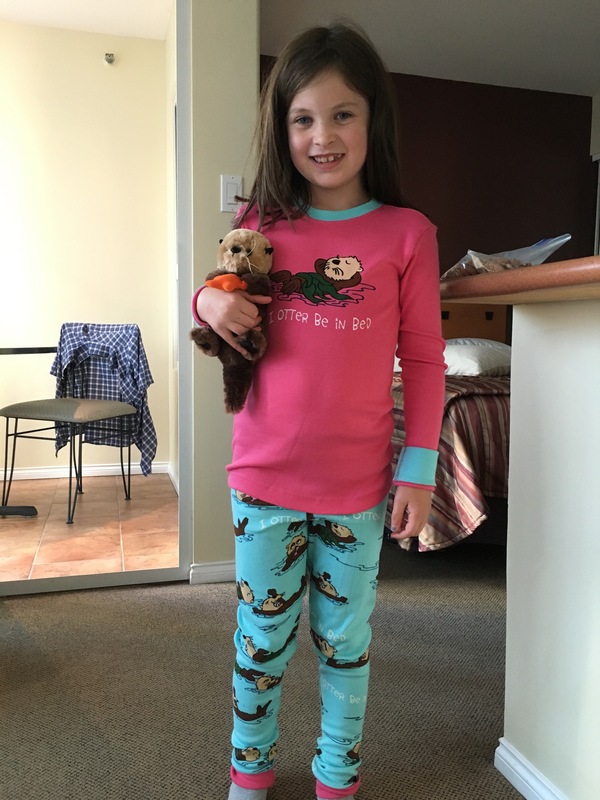 Very happy with a little otter and otter PJs! 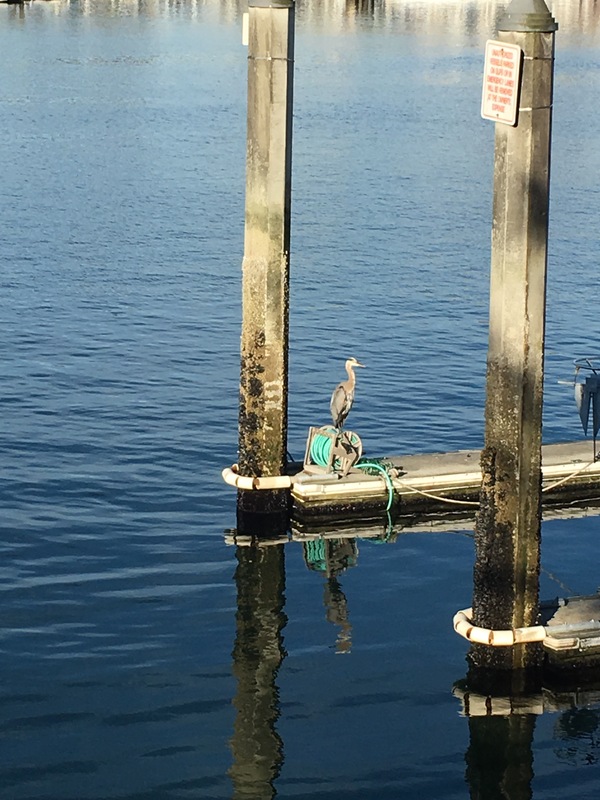 This entry was posted in exploring, the places we go, Waste Reduction/Zero Waste and tagged aquarium, Canada, heron, otters, travel, Vancouver, whales.